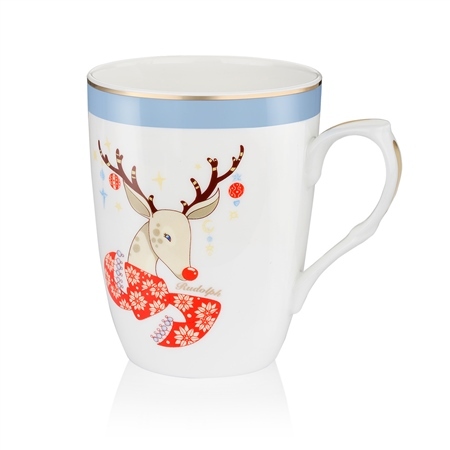 Rudolph' fine bone china Christmas mug with gold decal, presented in a Carleton Varney Newbridge Silverware gift box. Product dimensions 110mm x 118mm x 51mm. Mug capacity 440 ml (15 fl oz). Not suitable for use in a dishwasher or microwave, Hand wash only.